Hello, it's me again, I recorded Flake trying to eat, look at the difficulty he has to eat. Can you post a picture of his front teeth, with both tops and bottoms in the picture? Also, have you tried cutting things into long slivers and pushing them in his mouth back to his molars? The quality is bad, it's hard to take this photo. I tried, but he don't eat. All the green vegetable staining make it look like he is having a difficult time eating. The teeth actually look too long to me. Can he close his mouth completely? Does it look like the teeth are touching the roof of the mouth? I am sorry he's having a difficult time eating. The teeth was too short after the surgery, you can see in my previous posts. Yes, he can close his mouth, those teeth don't seems to be bothering him. I noticed like a week ago that Flake is 'hooting', so maybe there is also a heart problem, he wasn't hooting before the surgery, maybe it was one of the medicines? I guess the Tramadol. 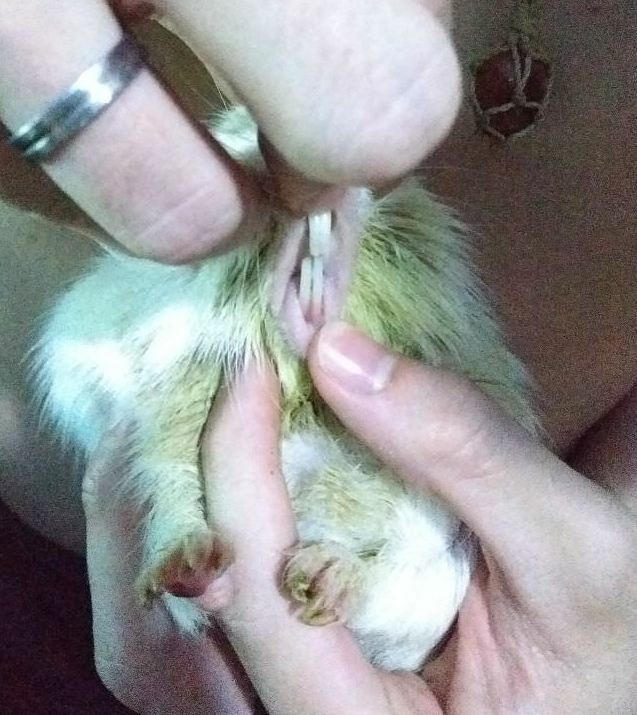 Also you were asking for a larger image of his teeth x-ray, I managed to zoom a bit but I still have no idea if he has elongated roots, vet said she was looking at the x-ray again, but I had not response at this moment. That image is much better. Any guess if he have elongated roots? I'm not a radiologist, but it looks to me as if he does. Are his eyes watery? If the roots were elongated, it would be the rear molars. I'm not sure if it's watery, but it has some crust and when he cleans it he loses some hair. This is the 'worst' eye. 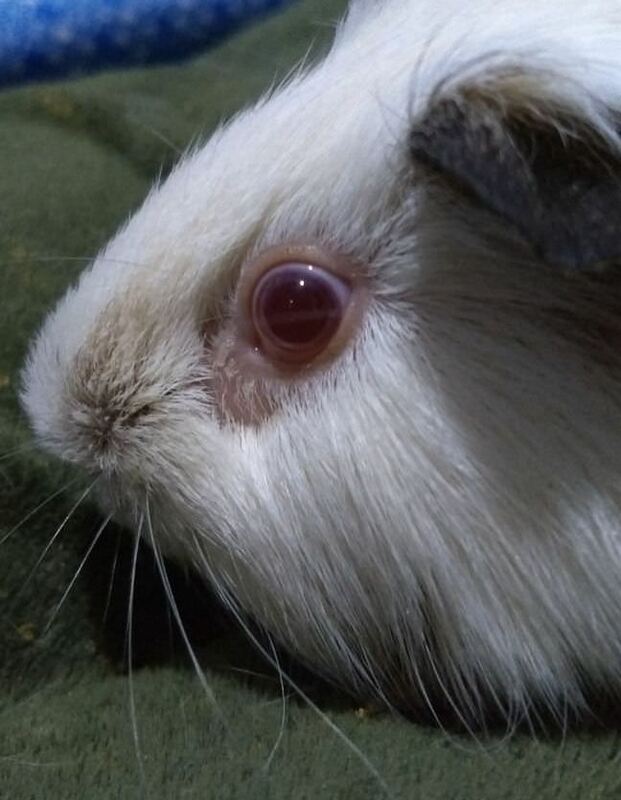 Look from above to see if the eyes appear symmetric or if one or both appear to be protrude more than a normal guinea pig. I believe that sometimes upper elongated roots can push on the eye so it appears to protrude and might contribute to the eyes being more watery. A veterinary dentist would be the best person to evaluate xrays to determine if there was any elongation. Watery eyes can be associated with other illnesses too. Dr. Legendre is well respected on this board. It looks like his left eyes is a bit more protrude when he gets that 'scared' eyes, but when he is relax/normal there is no difference. Only your vet could contact another vet for a second opinion. I actually do not know anything about how this is done (cost). Perhaps Pinta (who has worked with Dr. Legendre for a long time - bringing her guinea pigs to him) might have some idea. If the eyes are the same size, not bulging, it is less likely the upper molars are elongated. Well, I'm back, Flake is still having problems with malloclusion, he had to do the teeth planning again, and this week (maybe tomorrow) he will do it for the third time, he can manage to eat on his own but only his pellet mash, vet said as his teeh are growing bent, we could try to extract them, but I'm afraid that removing his incisors (I think it's only the lower ones) will make him stop eating as I can't imagine a guinea pig eating without some incisors. How his teeth currently looks like, I asked her if his jaw is disjointed, but she said she saw nothing in the x-ray, so it's not. When a guinea pig is put under anesthesia for an xray, the jaw muscles relax (from what I understand) so the xray might not completely rule out a jaw issue. 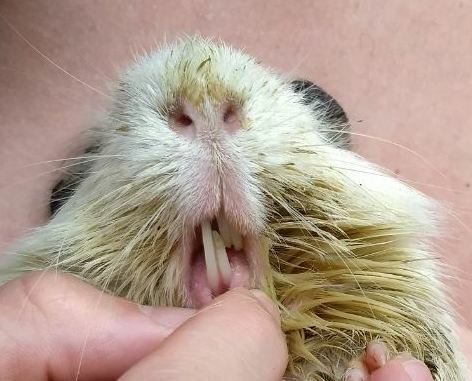 Once the incisors (and molars, if needed) are trimmed (I imagine you will do this as they are growing long enough to cause problems), spend lots of time watching him to see if his mouth hangs open to one side or if there are any irregularities of the jaw. I don't know if they do a "head on" xray, but it could conceivable show the relationship of the teeth to the jaw. It is also possible that a slight inclination is resulting in pushing the teeth over even further so they never meet and naturally grind to the correct length. I imagine you have read each and every page in the teeth section? You have worked so hard to get this guy on track!!! 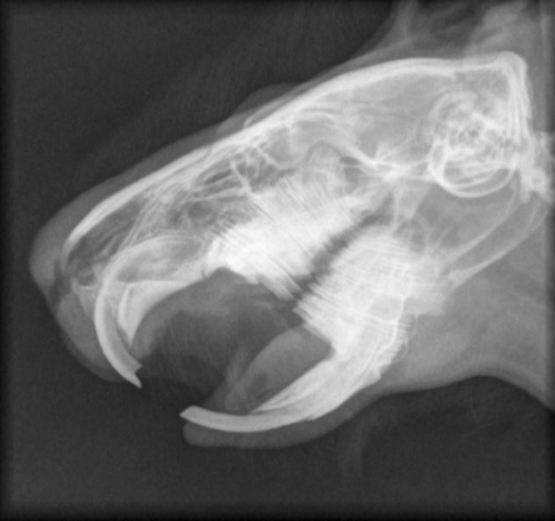 Thanks for your answer, Lynx, the x-ray wasn't under anesthesia, his diet is basically only pellet mash, he was gaining weight on his own, but now that the teeth are too long it's getting difficult, also, what do you think about the incisors extraction? I would certainly try trimming them first (don't over trim them). I don't know much about extraction but think this is risky because of the fragility of the jaw. Loss of an opposing tooth would mean they could not wear normally. 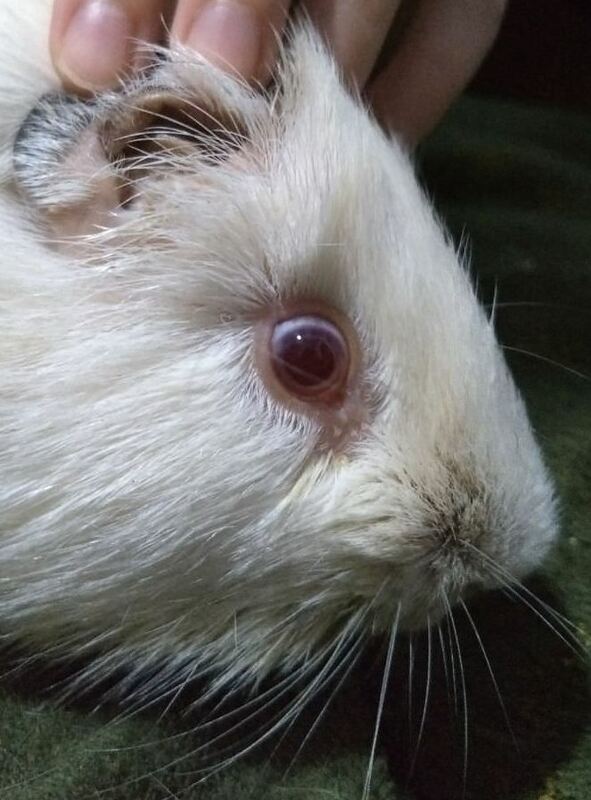 The surgery was sucessful, Flake is already eating on his own (only the pellet mash I make him since December) but I'm also hand feeding him to make sure he's getting enough, but I will try to make him eat different and solid things.